My 19 month old Ellie. One night at the dinner table she started laughing like a creepy chucky doll and scrunching her face. 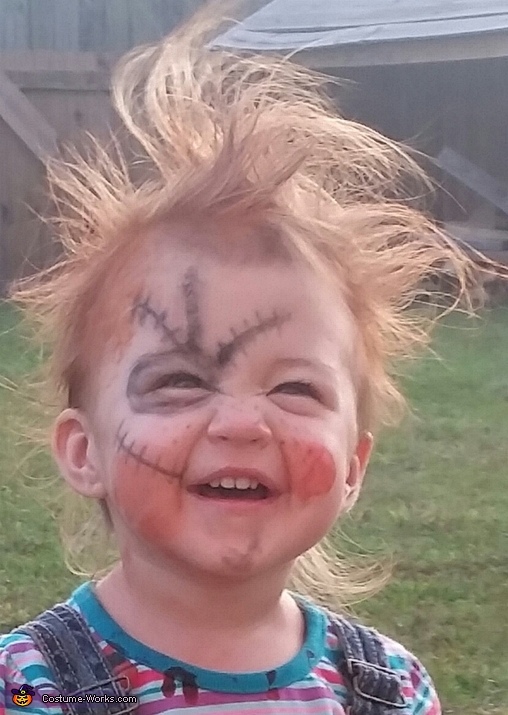 We knew then that she would make the perfect chucky doll.